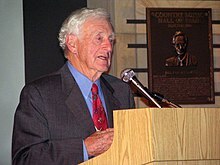 John Lawrence Seigenthaler (born 27 July 1927 – July 11, 2014) was an American journalist, writer, and political figure. I am interested in letting many people know that Wikipedia is a flawed and irresponsible research tool. I think journalism was the most important thing I could have done with my life. I just can't think of anything I could have done with my life that would have been more meaningful. This page was last edited on 23 February 2018, at 20:17.